In Southern Ontario there are several types of Owls, including the Snowy Owl, Great Horned Owl, Short Eared Owl and Screech Owl. 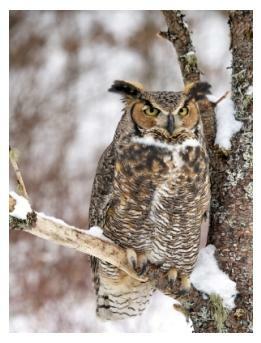 These birds vary greatly in size, ranging from very small Saw Whet Owl, to the large Great Horned Owl. They are mainly nocturnal and typically have the large eyes and facial disc of their species, sensitive hearing and in general, are rodent eaters. These birds all have short tails and large heads, and hunt for food on the wing. Females are usually larger than the males, whereas in other birds, the opposite is the norm. 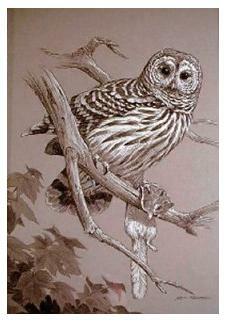 For information on the various species of Owl click the links below. 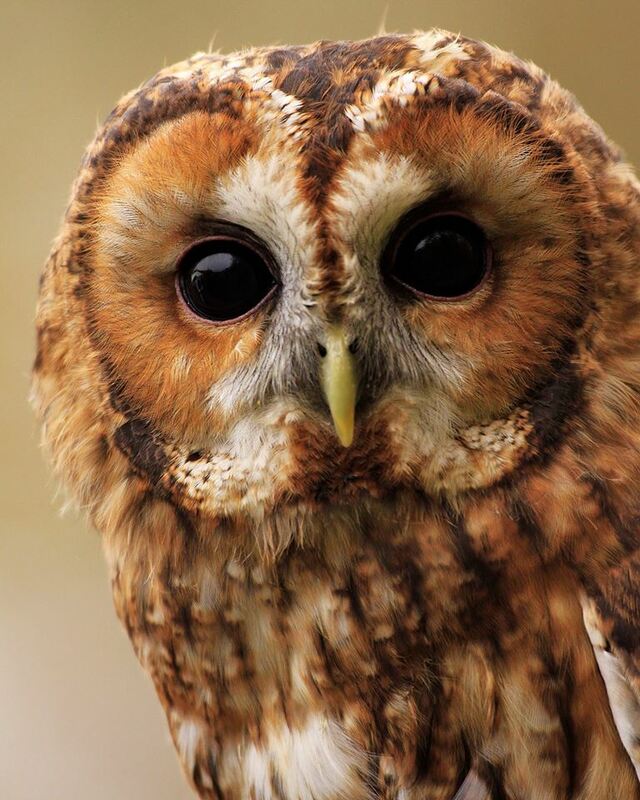 Have you had an Owl encounter you'd like to tell us about? If you've had an Owl sighting in Southern Ontario, we'd love to hear from you ..... send us your pictures too! It was amazing to spot this beautiful bird and two young peeking out of their nest. This was in early March 2018, London, Ontario.